The above quote is from the letters section of the Nov – Dec issue of Hemming’s Special Interest Auto magazine. Dietrich was reacting to an article that documented the history of Checker. 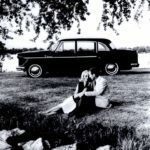 Dietrich passed away more the 35 years ago, we’ll never be able to ask him why he denied doing styling work, perhaps it was because by 1973 Checker was still producing a car that was styled for the 1950’s and there may have been some embarrassment of being associated with a car that was years behind from a design perspective? 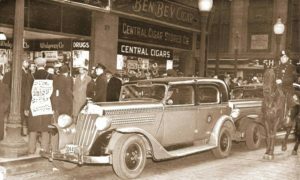 We have enough material, drawings and CMC memoranda to prove that Dietrich was indeed involved in styling the post war Checker. 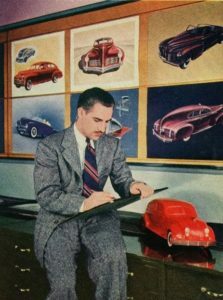 His comments regarding copying are somewhat amusing, because the SIA article suggestion that Dietrich copied Chrysler designs are designs of autos that were designed by Dietrich himself for Chrysler when he was head of Chrysler design. 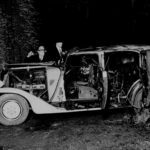 Better left for another blog, the above text does raise an interesting question, was Checker styling ever current and more importantly, did those designs ever share similar design treatments of other autos produced at the time? In other words, did Checker always produced old looking cars? Historically, Checker designs were always current. 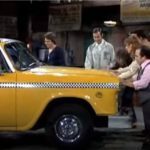 To be marketable in a growing and thriving taxicab market, Checker could not sell taxicabs that appeared old. Quite frankly, in order to be competitive and seen as an innovator, it would be important for Checker to create designs that were advanced. 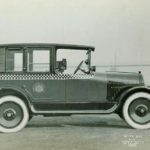 The first Checker that was sold as a completely closed taxicab was the 1927 Checker Model G. The Model G was the first cab the placed the driver in a closed environment. 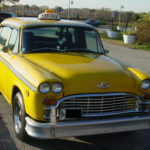 Prior to the Model G, Checker cab drivers would be exposed to the weather in a driver compartment free of glass windows. If one looks at the Model G from a styling perspective it bears a striking resemblance to the 1926 Chevrolet four door sedan. Over the years Checker would continue to innovate and introduced designs that were very modern. 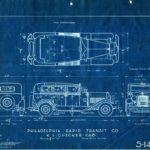 By the mid 1930’s aerodynamic designs were seen as way to the future. 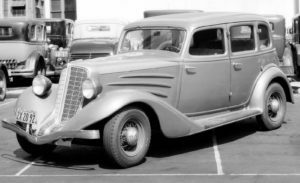 The Chrysler Airflow or the 1934 Huppmobile designed by Raymond Lowey were milestone cars of great design that established a new way to style automobiles. Checker would not be left out of the picture, the 1935 Checker Model Y was truly aerodynamic. Produced at a time when Checker was owned by Auburn-Cord-Duesenberg, the Model Y bears a strikingly similar to Auburn of its day. The Model Y still sported those awful, yet functional sugar scoop front fenders, but the grille treatment is aerodynamic and clearly inspired by Auburn. 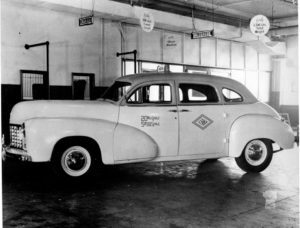 This blog started with a denial of design work, we’ll leave that aside, that said, the 1947 design of the Checker Model A4 was very modern in its appearance. 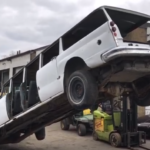 There are hints of both Cadillac and Chrysler products. 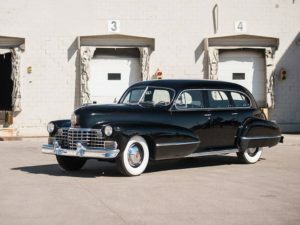 The overall design share many styling cues from the 1942 Cadillac. The Model A4 sports pontoon fenders that flow directly into the doors. The A2 utilizes an eggcrate grille consistent with both the Dodge and Cadillac. The swooping rear roof of the A2 was very stylish if not practical for rear seated passengers. 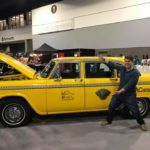 As we have discussed in past blogs, the 1956 Checker was introduced as a reaction to changes in the taxicab regulation of New York City in 1954. 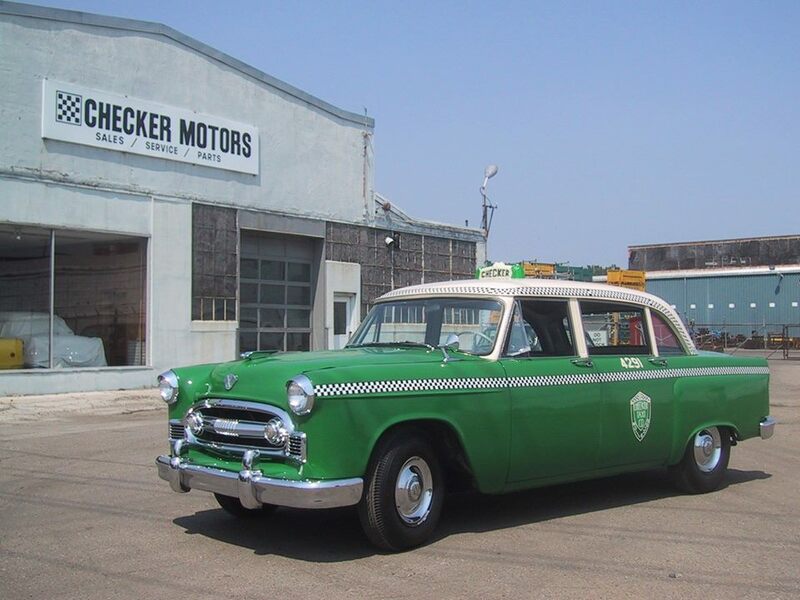 Checker would develop a complete redesign of the taxicab. The design changes impacted size character as well as appearance. 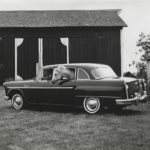 There is no doubt that the sytling cues of the 1956 Checker Model A8 comes from the 1953 Packard (see blog header photo). The 53 Packard utilized the three box design introduced during the post war period of 1947-49 by Studebaker and Ford respectively. The Packard offered a wide opening grille with parking light inserted in the center of the grille. 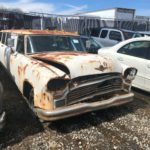 The hood was inspired by the horse collar grille of Packard days gone by. 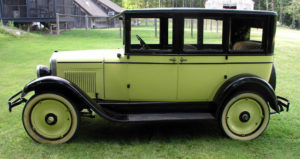 The Packard clearly inspired the Model A8. The A8 shares the same envelop body, with rear fender bulge. The roofline and window treatments are similar too. The grille and headlight treatment looks like they came right off the Packard drawing board. The A8 would be the last major design change for Checker. As stated in the above text, by the 1970’s and early 80’s from an automotive design perspective, the Checker would be embarrassing. Other including the writer would rather consider the Checker as quaint, but the facts is the Checker was now longer an innovator. It would forever be considered an old car, just remember was once an trend setting or modern car.